As of 9 December 2018, train services between Glasgow Central and Weymss Bay will no longer call at IBM Halt following joined-up pressure from local stakeholders. Since IBM staff left the Spango Valley site in September 2016, trains have continued to stop at the station, resulting in the area becoming a hot stop for anti-social behaviour. This was raised during meetings SNP MSP for Greenock and Inverclyde, Stuart McMillan, set up in 2017 and 2018 regarding on-going anti-social behaviour issues with young people accessing Inverkip Beach via the train. These meetings included representation from ScotRail, Police Scotland, British Transport Police, Inverclyde Council Community Wardens, and local Councillors. A joined-up approach was consequently agreed and a plan established to deal with the issue, which has seen these issues allayed. “Ever since the anti-social behaviour issues at the Spango Valley site were highlighted, everyone recognised that a collaborative working approach was needed to find a viable solution. “Just like young people were using the trains to access Inverkip Beach, they were using the IBM Halt to access the derelict site, which due to its sheer size made it difficult for the Police to tackle. It was therefore clear that if trains ceased to stop at the IBM Halt altogether, then the issues at Spango Valley would be resolved, or at the very least significantly reduced. “Officers in Inverclyde are responsible for meeting the needs of their communities and keeping people safe. They do this by providing effective and long-term solutions to local issues by working closely with residents and in partnership with other agencies. 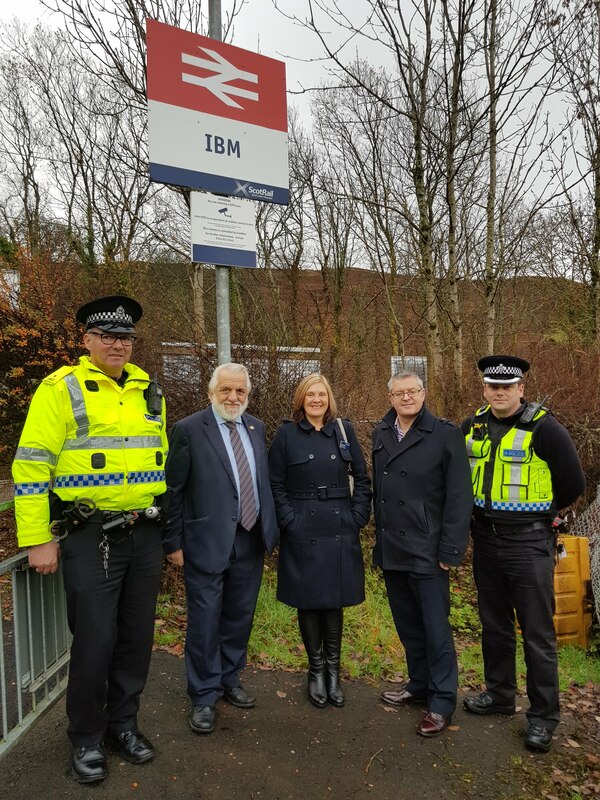 “We worked closely with local stakeholders in response to anti-social behaviour incidents and as a result we are temporarily suspending services at IBM Halt station. The station has not been closed; however, trains will no longer call there from 9 December 2018.